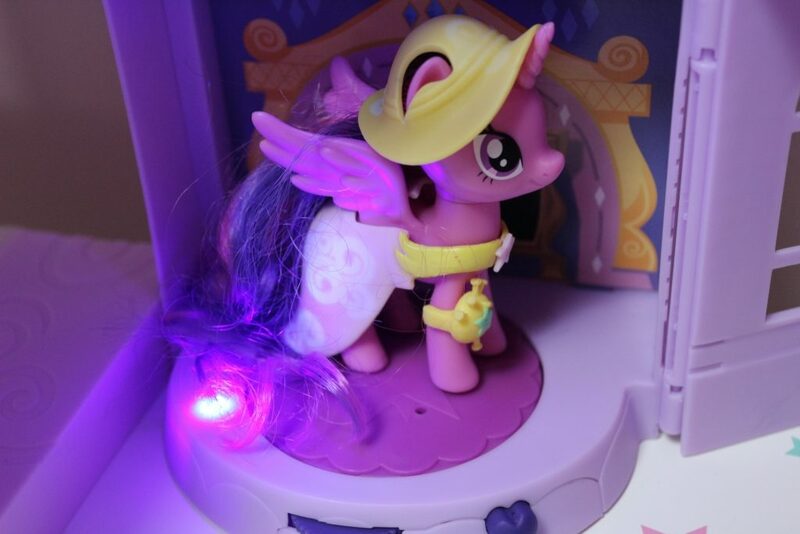 This month, the Hasbro Toy Tribe sent us something very special to review; the My Little Pony Twilight Sparkle Magical School of Friendship. 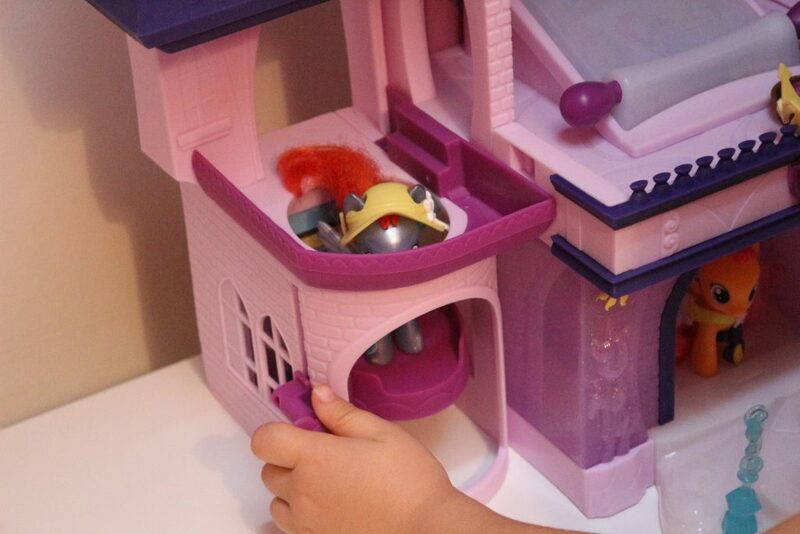 As a huge My Little Pony fan I knew my oldest would love it. 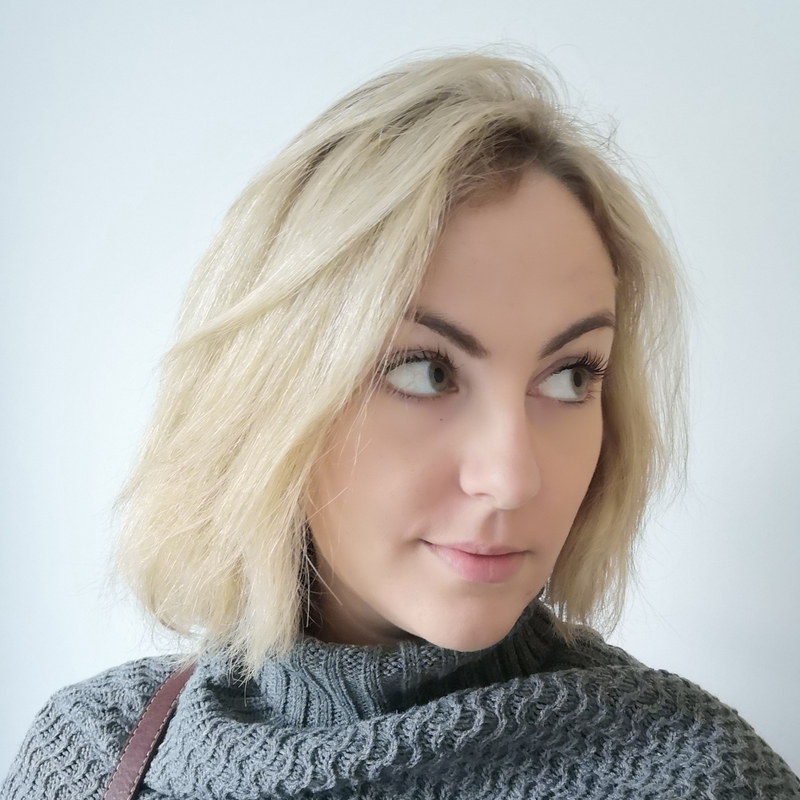 She loves the TV series and has a big collection of preloved My Little Pony dolls (the old style ones I remember from my own childhood) as well as a few of the new style ones, and she often points out the exciting new playsets when we see them. With the summer holidays taking a turn to the miserable (come back sun! All is forgiven) it seemed like the perfect time to crack it out and have a play! 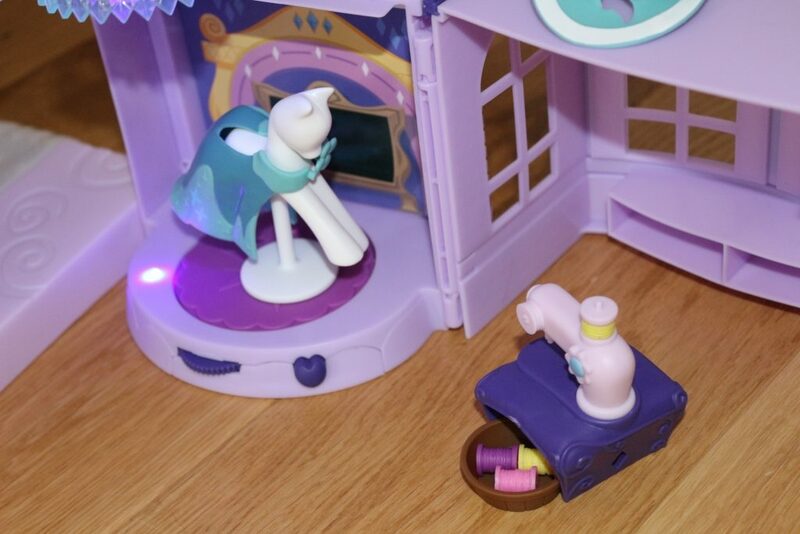 Inside the Magical School of Friendship box is the school building, one 3-inch My Little Pony figure (Twilight Sparkle) and over 20 accessories. 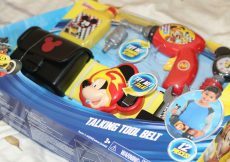 Although the box is big, be aware that the the school building comes in parts which need to be put together following the 22 stage instructions. It doesn’t take long and is fairly simple as it clicks into place (no screwdrivers or swearing involved, I promise) but I would recommend doing this before you let children see it or they’ll make it 100 times harder! Once together, the school stands an impressive three tiers (55cm) tall. NB The wall in the top middle, which is made from cardboard, I put in back to front. 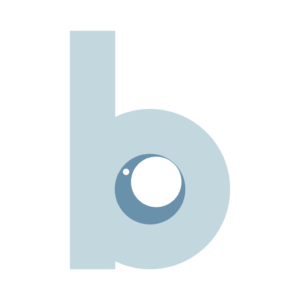 I could take it apart and change it… but it doesn’t make much difference. The Twilight Sparkle Magical School of Friendship has a number of fun features. There is a lift that can bring the ponies up from the ground to the first floor, which is operated from the outside. The doors to the school open when a pony puts their hoof on the button. You have to re-close them from the back of the building by pushing them both forwards at the same time. 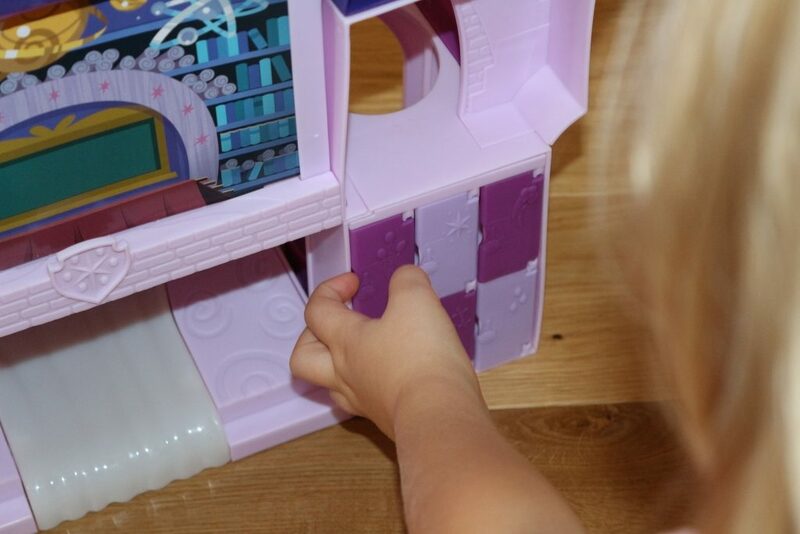 To the back of the My Little Pony Magical School of Friendship are six ‘lockers’ or cupboards. Each one is embossed with one of the main My Little Pony character’s cutie marks and they’re useful for storing the accessories inside. 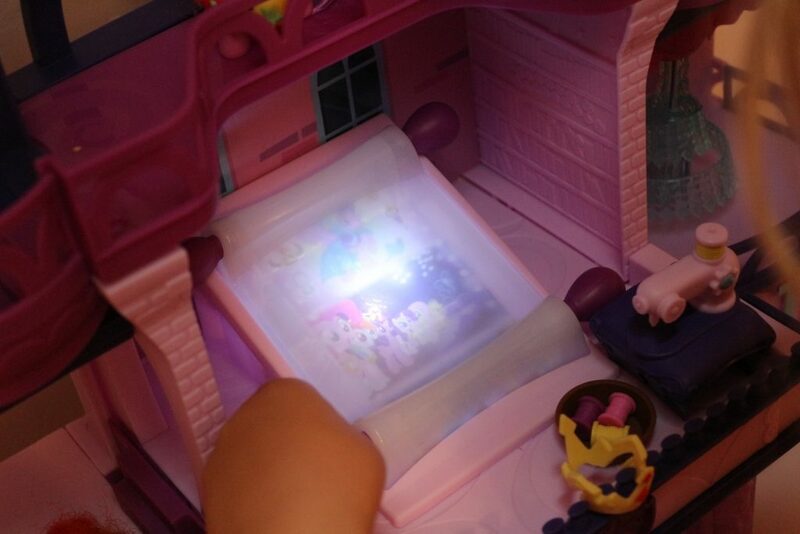 The scroll lights up and plays sounds as the handle is turned to show different images. Inside the fashion studio, which opens and closes, there is a podium upon which you can stand a pony. 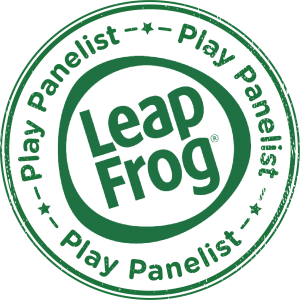 You can rotate the podium or press the heat-shaped button, which plays music and illuminates the podium with an ultraviolet light above and below, revealing ‘magical’ hidden patterns on the cloaks and hats which come with the set. 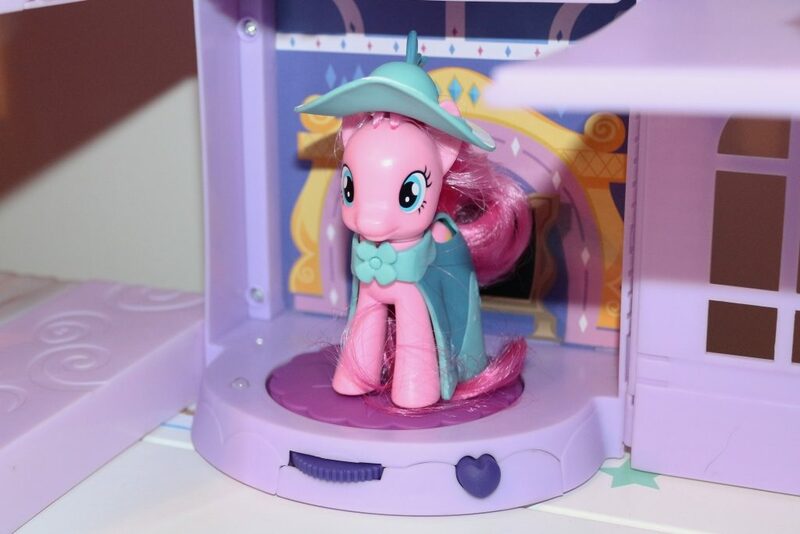 You get one My Little Pony (Twilight Sparkle) and two outfits with the playset; there are additional ponies to buy each with hidden patterns on their clothing. 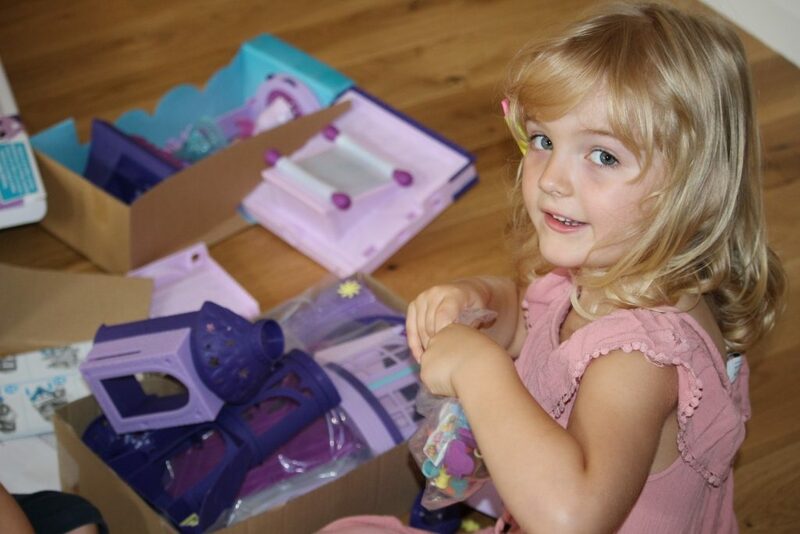 As well as one pony, the set comes with a pony mannequin, sewing machine and sewing accessories. 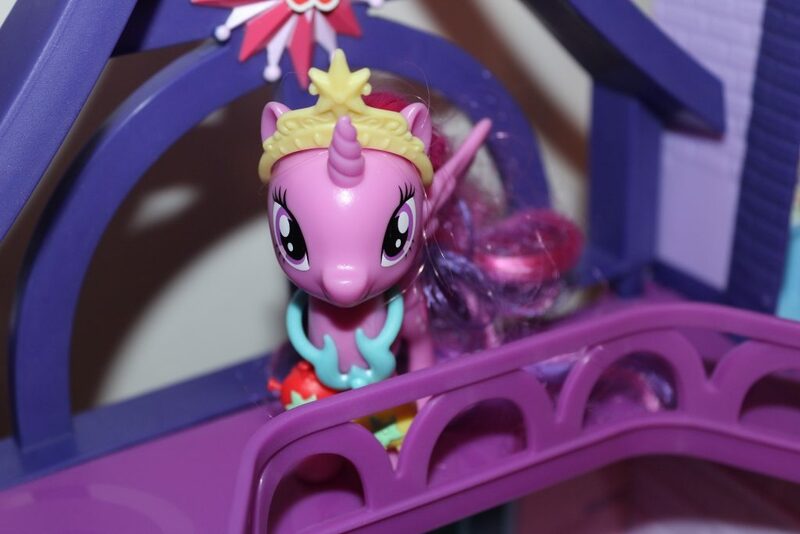 All accessories photographed in this post came with the playset (although the other three ponies were ours). 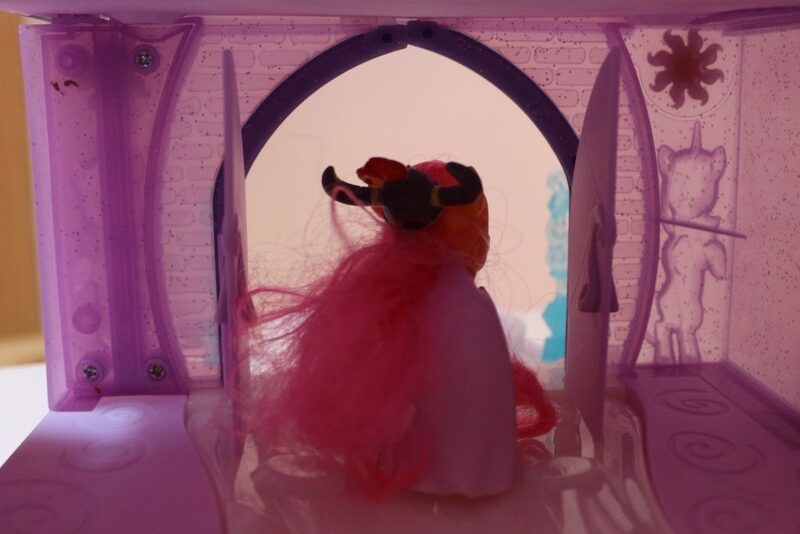 There are hats and bracelets, crowns and the outfits which fit on to the 3 inch My Little Pony dolls. There is a book stand, several books and a small chest to store things inside. 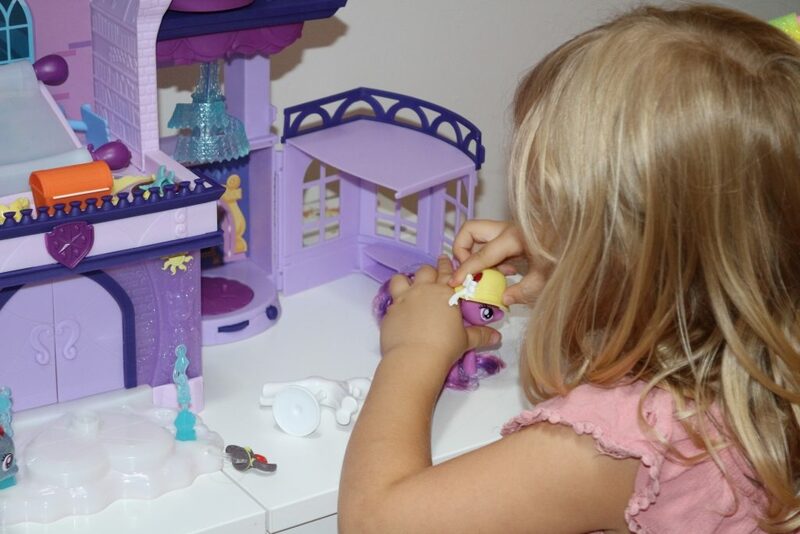 What did we think of the Twilight Sparkle Magical School of Friendship My Little Pony playset? 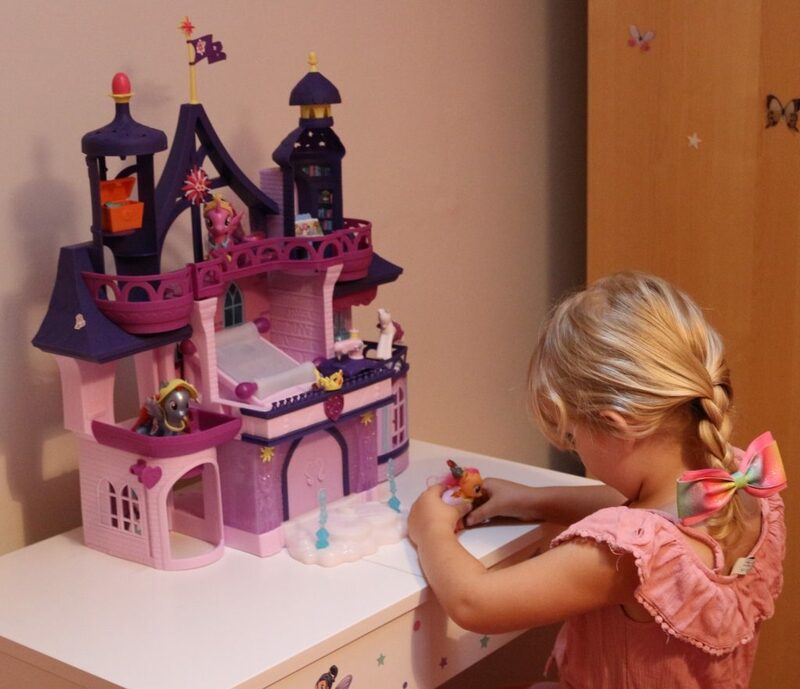 My daughter absolutely loves it, and has spent many hours playing with it up in her bedroom making up little stories and dressing up her ponies. 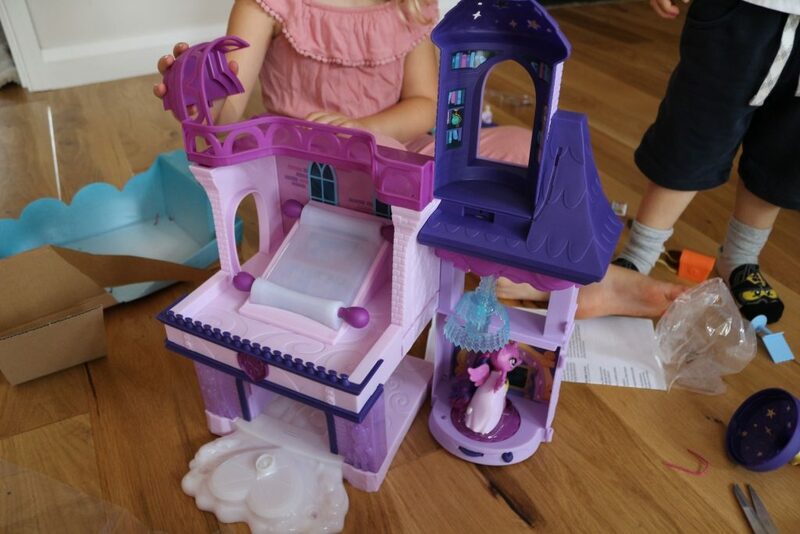 It’s a really sturdy playset with a lot of fun features, and although it’s tall it isn’t too deep and therefore doesn’t take up a huge amount of room. It would make a lovely special gift for any My Little Pony fan, especially if they already have some of the smaller figures. 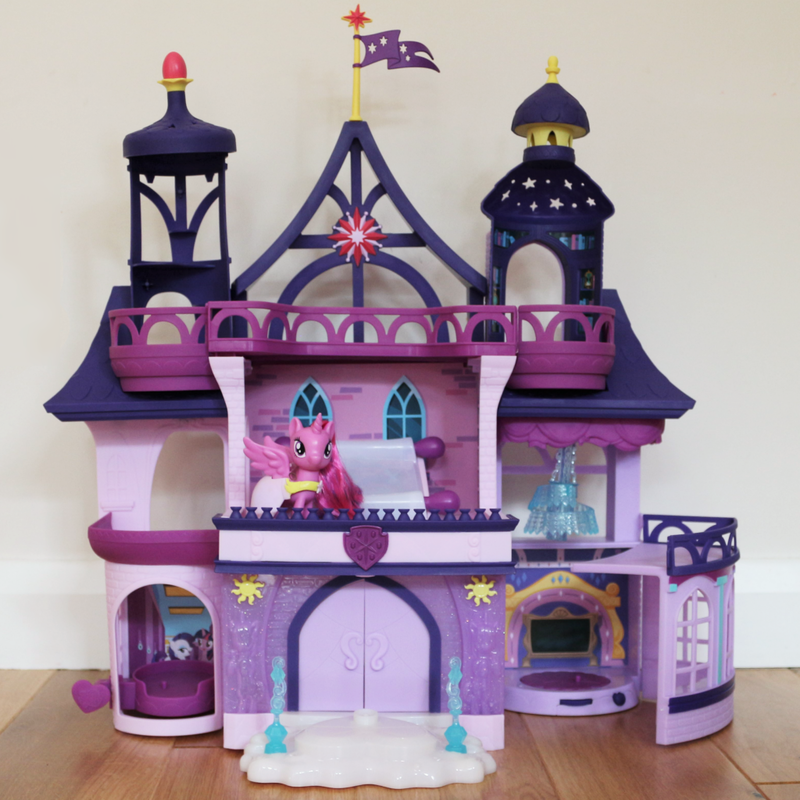 You can purchase the Twilight Sparkle Magical School of Friendship My Little Pony playset from large toy shops or via Amazon here. It has an RRP of £49.99. 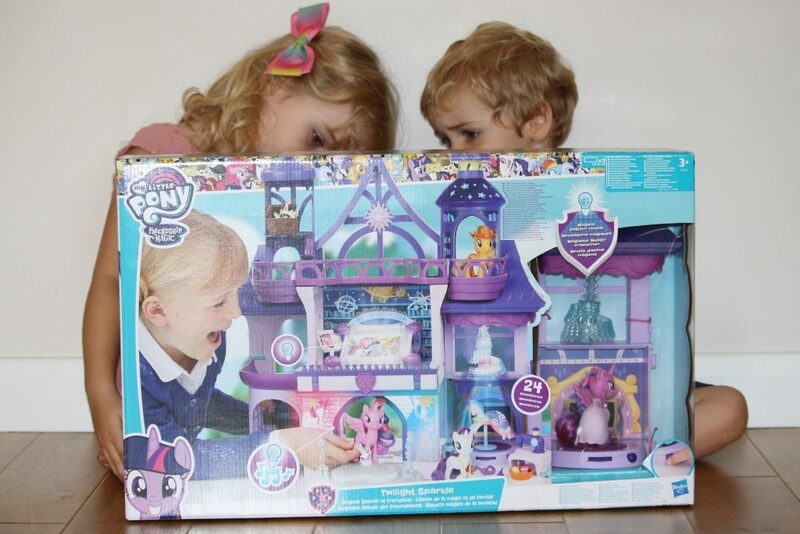 We were sent this Twilight Sparkle Magical School of Friendship to review as part of the Hasbro Toy Tribe. All pictures and words are my own. 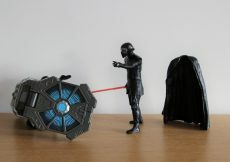 Want to see some other exciting toys from Hasbro? 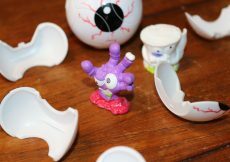 Check out our Toy Tribe reviews here!